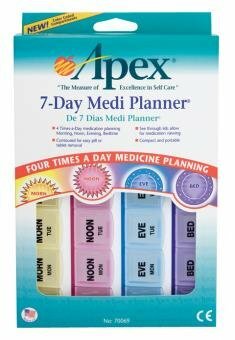 Apex 7 Day Mediplanner 70069B By Apex-Carex Corp.
Apex 7 Day Mediplanner 70069B By Apex-Carex Corp. 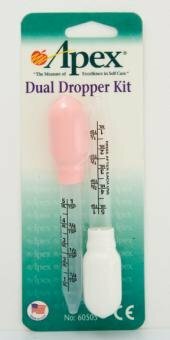 Item Number.:DC3723350/DB10140719. 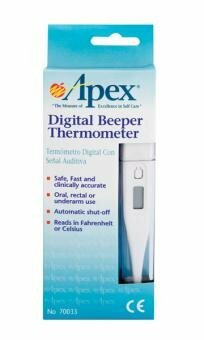 Apex Baby Ear Syringe 1 Ct.
Apex Baby Ear Syringe 1 Ct. Item Number.:DC2723666/DB10053538. 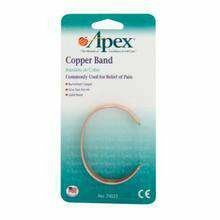 Apex Weekly Pill Turtle By Apex-Carex Corp.
Copper Bracelet By Apex-Carex Corp. .
Daily Medipak By Apex-Carex Corp.
Dual Dropper Kit By Apex-Carex Corp.